Maria Anna Walburga Ignatia Mozart, affectionately called Nannerl by her family, could play the piano with an otherworldly skill from the time she was a child, when her tiny hands seemed too small to encompass a fifth. At the tender age of five, she gave her first public performance, amazing the assembled gentlemen and ladies with the beautiful music she created. But her moment of glory was cut short, for even as her father carried her around to receive their praise, her mother began laboring to bring a second child into the world. After hours of her mother’s pained cries and agonized shouts, which rang in Nannerl’s ears like a terrifying symphony, the child was born. They named him Wolfgang. Nannerl loved him instantly. As they grew, Wolfgang and his sister became inseparable, creating a fantasy world together and playing music the likes of which no one had ever heard. They were two sides of a single person, opposite in temperament—he lighthearted and charismatic, she shy and retiring—but equal in talent. Yet it was Wolfgang who carried their father’s dreams of glory. And as the siblings matured, Nannerl’s prodigious talent was brushed aside by her father. Instead of playing alongside her brother in the world’s great cities, she was forced to stop performing and become a provincial piano teacher to support Wolfgang’s career. Nannerl might have accepted this life in her brother’s shadow but for the appearance of a potential suitor who reawakened her passion for life, for love, for music—and who threatened to upset the delicate balance that kept the Mozart family in harmony. 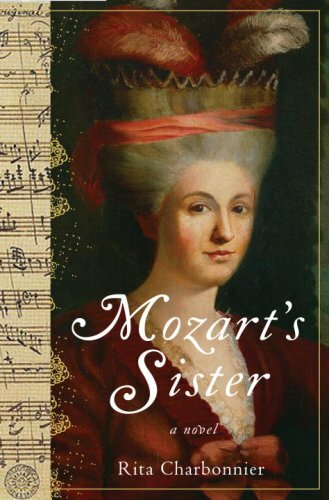 This is the story of Mozart's sister who was equally or some debate more talented. She was pushed to the side to allow her brother to shine. However, her job was to teach others to support Wolfgang's career. At first she accepts this bitterly, but then her passion for life, for love, and for music are reawakened by one person. GAH. I went into this with such interest and high expectations. Honestly, I was very curious to learn more about Mozart's sister (which I have heard zero about her). However, it fell short for me. I could barely get through the story without falling asleep. So many dry spots!! I will admit that I skimmed quite a bit especially near end. The ending wouldn't come quickly enough for me. There were two things that killed the story for me: 1) I couldn't connect with ANY of the characters and 2) Some how the story kept slipping and started focusing on Wolfgang instead of Nannerl. For a book that is suppose to be about her, the spotlight left her quite a bit and that bugged me. The writing style was lovely, but those two things really bothered me and it took from the story. I had mixed feelings on the letters that were interwoven with the story. Sometimes I did like and it really fit, but other times it didn't fit and I honestly skimmed through the letters. In the end, this was a meh for me. I had high hopes and expectations for this one, but it crashed waaaay below. There were lots of dry spots, I couldn't connect with any one, Nannerl seemed to not be the star a lot, and I had mixed feelings on the letters. 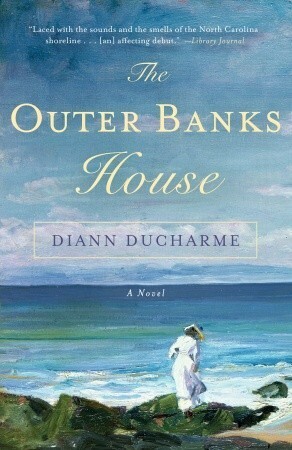 The writing style was wonderful and I am curious to check out other novels by this author. This shall be stamped with 1 star. Definitely Nannerl deserves a better book. Pity.